We became involved with Jack Daniel’s in late 2010, when they to changed their corporate PR agency to a specialist music agency for their music events: Spring’s JD Set series of gigs, now known as JD Roots a series of gigs and grassroots music community initiative; and Mr.Jack’s Birthday, their biggest annual marketing campaign. Increase awareness and credibility of Jack Daniel’s association with music amongst their core target market of 18 to 28 year old men. To achieve 90% attendance at their events with the average age of 28.
get artists and media on side during the crucial early stages of the campaign. Retaining us as the face of JD’s music programme put the client well on the way to achieving that first objective. In 2012, we built on our relationship with JD who invited us to consult on how they can redesign their whole music strategy, as well as manage their digital PR. 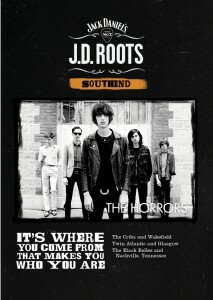 This led to the creation of their live music activity – JD Roots. Moving the brand away from their rock heritage and towards the music their target consumers were engaging with, we worked with the production team to identify relevant artists and strengthen the bill. Music is about sharing something culturally, so if brands want to successfully engage those communities, they need to get involved with them on an authentic level. We enabled this in a number of areas. For example, JD Roots was not only about musicians, but also about local gig promoters, fanzines, and venues that form the backbone of a thriving music scene. Further, Jack’s Birthday campaign looked at audiences who enjoy music and use Hipstamatic with a “Round Up Your Friends” partnership – allowing the brand to branch into art and photography communities. The community focus helped create stories whilst stepping away from the ‘rock n roll excess’ that concerned conscientious musicians and website, creating a credible brand association that bands were happy to interact with. As part of Mr. Jacks Birthday, we put together a competition in conjunction with Hipstamatic, Clash Magazine and the Orange Dot gallery. 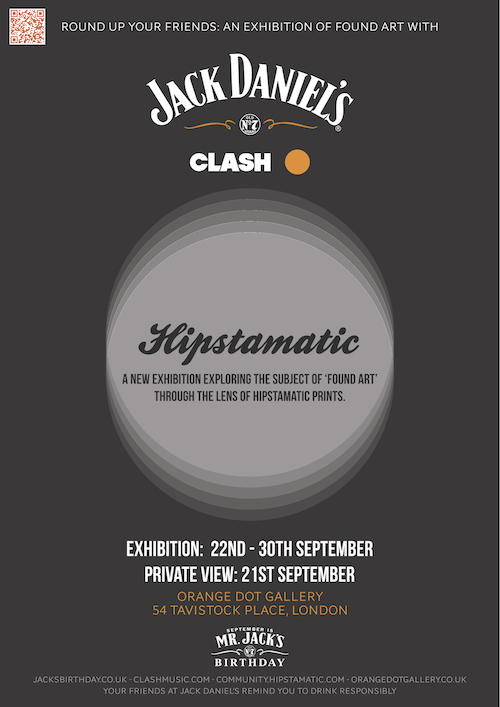 The ‘Found Art’ theme was inspired by the JD ad campaign and the prize was a trip to Tennessee to see Plan B, War Paint and Steve Cropper live, and a place in the Orange Dot gallery exhibition. There were over 4000 entries, and the private view and launch event was attended by 150 press and music industry – raising awareness of the brand and it’s authentic association with music. 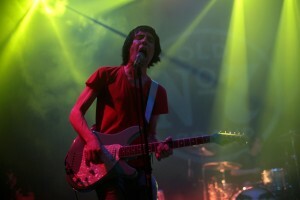 JD Roots brought three established acts The Horrors, The Cribs and Twin Atlantic back to their hometowns. 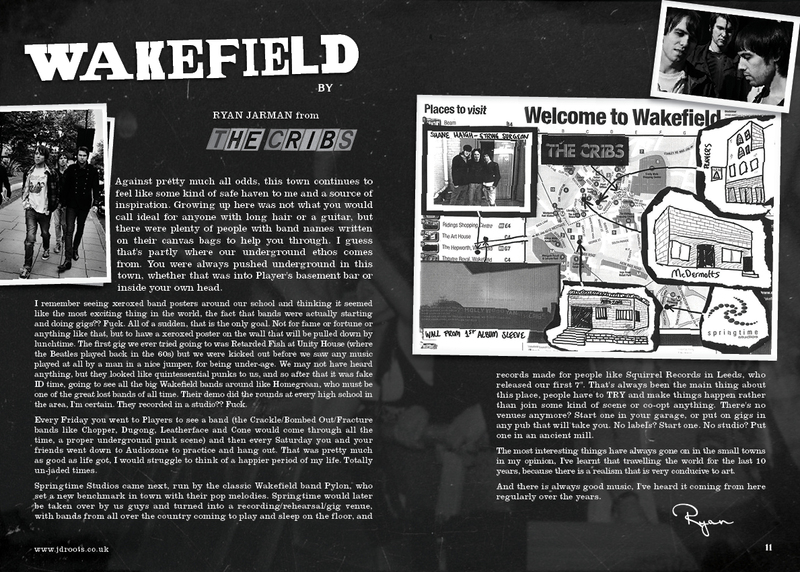 To coincide with the roots and hometown vibe, we created print fanzines featuring local venues, promoters and music fans to tie the community more into the event. We offered free ad space to local retailers, and asked the bands to contribute. It was fun, creative and community focused bringing the local scenes onboard with the event and the brand. The more traditional PR role meant targeting media who share the brands target audience, to improve brand visibility and credibility. 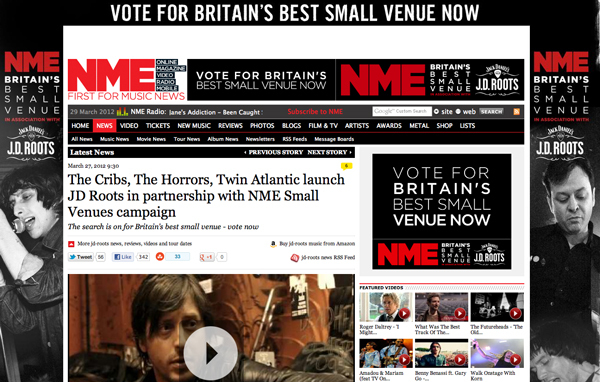 Together with our Print PR partner, Loudhailer Press, we initiated a media partnership with NME, that was navigated to avoid advertorial style content that often appears disconnected with the publication, and more quality editorial coverage that was aligned with the magazine’s content style and interests. We further managed the relationship with the tabloid, gossipy websites. In particular, the Mr. Jacks Birthday event featured Plan B who attracts more mainstream gossip and tabloid press. Our role was to ensure our relationships with these publications and kept the topic on the music and event, widening brand reach through these publications. 85, 000 new database sign ups, 75% of them are under 29. 20% of visits to their website came from within the JD database, with a further 60% of visits outside of JD’s own promotion – an improvement on the preceding year, where 68% of traffic came from existing JD users. Their gig attendance was 90% with an average at of 27. 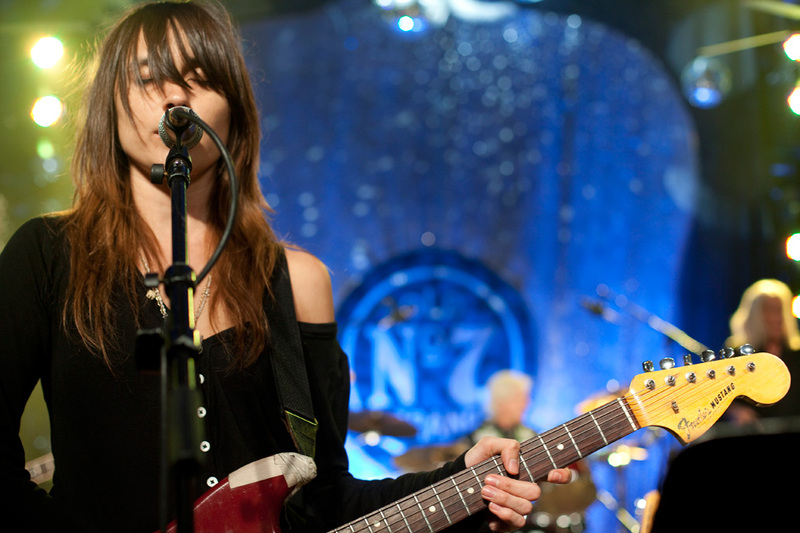 The correct brand approach can be managed within an independent music climate to the benefit of all parties. 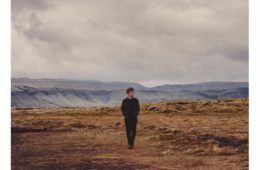 A well thought out music campaign can deliver targeted demographic age attendance to shows and drive positive brand values in traditional media and social media. Creating a culture around the event(s) is essential to successfully achieving a brand positive result. The biggest name does not always guarantee the best results. Artists should be chosen and shows created that reinforce both the brand positives at stage and the culture positives within the arena of activity. Our knowledge of music communities means that we have an intuitive feel for what is right for each event and the contacts to deliver that coverage. We know which media to target, when to go wide and far, and when to stay small, local and niche. A client with not only a great product and strong brand vision, but also the faith in our judgments and open mindedness to try something new, has been a huge boon to the campaign.